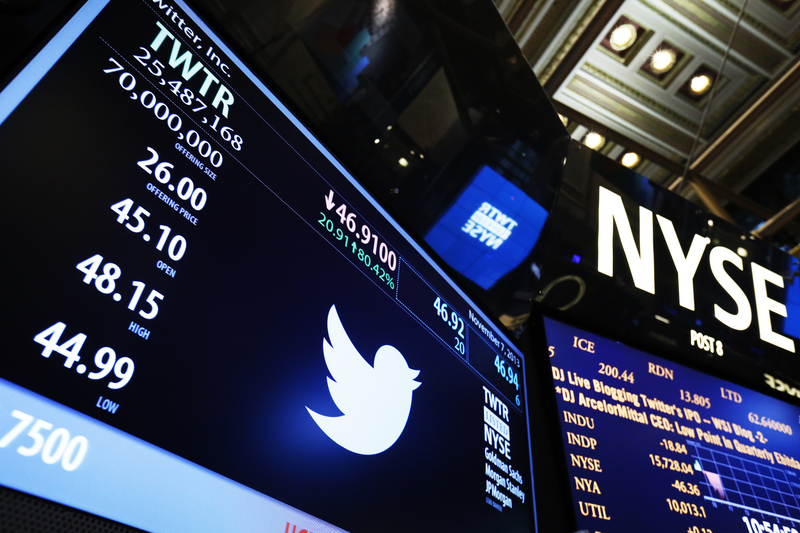 Twitter has barely fluttered its wings as a public company and, true to form, Wall Street bankers, investors and venture capitalists are perseverating over the next big thing. After years of anticipating Facebook’s debut, and then Twitter’s, there’s no single tech blockbuster teed up. A bunch of fast-growing smaller ones, though, including Pinterest and Uber, should fill the enthusiasm gap. Leading up to its initial public offering last year, Facebook was the Holy Grail for any underwriter wanting to lead the biggest internet launch in history. Yet even those investment banks that failed to handle the IPO could at least content themselves with a shot at Twitter’s matriculation. Investors were in a similar boat. Though there’s no obvious Twitter-size transaction waiting in the wings, there’s lucrative work for equity capital markets’ desks to chase. Moreover, while the deals may not be as captivating as Twitter’s, the rewards could be, especially as future underwriting fees should exceed the 3.25 percent being paid by the microblogging company. Consider the hottest Silicon Valley darlings on the docket. In the consumer internet arena, at least three relatively immature firms may come to market with a combined value of more than $7 billion. Given their meteoric growth rates, it also wouldn’t be inconceivable for them to double from their last fundraising rounds. There’s Pinterest, the electronic corkboard that is only now toying with generating revenue. It was most recently valued at $3.8 billion. Airbnb, which allows homeowners and apartment dwellers to rent out rooms to travelers, saw its paper worth hit $2.5 billion last year, making it the biggest of the so-called “sharing economy” startups. Connecting drivers and riders by app enabled Uber to raise $361 million at a $3.4 billion valuation in August. Square is likely to hit the stock market next year, the Wall Street Journal reported this week. The mobile payments service founded by Twitter Chairman Jack Dorsey last raised money in 2012, at a $3.25 billion value. In the enterprise space, there is MongoDB, a database company whose last pass of the hat pegged it at some $1.2 billion. By their lonesome, none of these debutantes would rival one Twitter. Should they seek the adulation of public investors, however, the class of 2014 would provide investment hype many happy homes. Twitter shares soared on their debut on the New York Stock Exchange, hitting $50 at one point, nearly doubling from their $26 a share offering price.